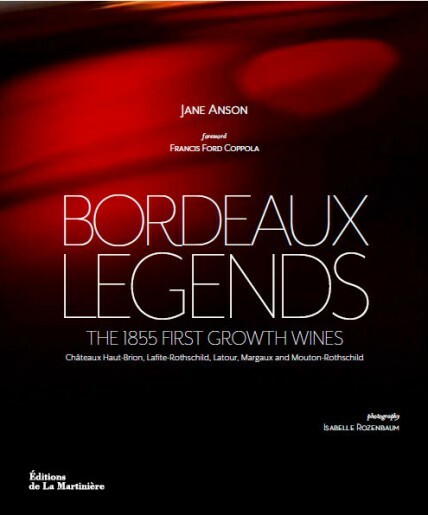 The first-ever comprehensive history of all five first growths, by Decanter writer Jane Anson and with a foreword by Francis Ford Coppola, will be published next month. During the writing of Bordeaux Legends – the 1855 First Growth Wines, Anson was given unprecedented access to the five most celebrated chateaux of Bordeaux – Haut Brion, Latour, Margaux, Lafite-Rothschild and Mouton-Rothschild. ‘I spent many hours over several weeks in the archives at Margaux, Haut Brion and Lafite,’ she told Decanter.com. She also researched extensively in the city archives in Bordeaux, and in London at Christie’s, Berry Brothers and the Royal Society. Francis Ford Coppola – who owns Inglenook in Napa, one of the most venerable American wineries – describes the book in his foreword as ‘a most interesting and valuable history to those who realise that truly great wine is something of a miracle. Bordeaux Legends – published as Elixirs in French – took Anson about two years to write, her research taking her from Bordeaux, where she lives, to Paris, London and Hong Kong. Anson interviewed a plethora of wine professionals including chateau owners, directors and technical staff, courtiers, negociants, commercial partners, auction houses and wine merchants. 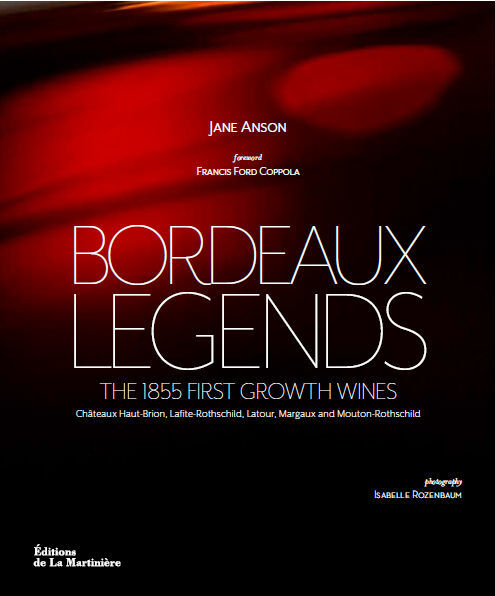 The book covers centuries of Bordeaux history, tracing the family tree of such characters as the 18th century Irish negociant Abraham Lawton (who always referred to Margaux as ‘Castle Margaux’) and his great-great-great-great grandson, present-day negociant Daniel Lawton, now 81, and the last surviving member of the panel that promoted Mouton to first growth status in 1973. Fascinating facts came to light, Anson said: that Lafite and Mouton swapped rows of vines in the 1920s, that there was an extraordinary level of intermarriage between the first growth owning families over the last 500 years and that the two Rothschild properties founded the primary school atLe Pouyalet in Pauillac, which thrives today. Anson stresses she has not written a collection of separate histories of the chateaux but ‘how their histories interlink, and how together they influenced the growth of Bordeaux as a whole’. It was, she said, ‘like piecing together a jigsaw puzzle’. This entry was posted on August 23, 2012 by The Oenophiliac in News., Wine Books and tagged Bordeaux, Bordeaux Legends Book, Chateau Lafite Rothschild, Chateau Mouton Rothschild, Decanter, Elixirs, Francis Ford Coppola, Hong Kong, Jane Anson, Latour, margaux, Royal Society.